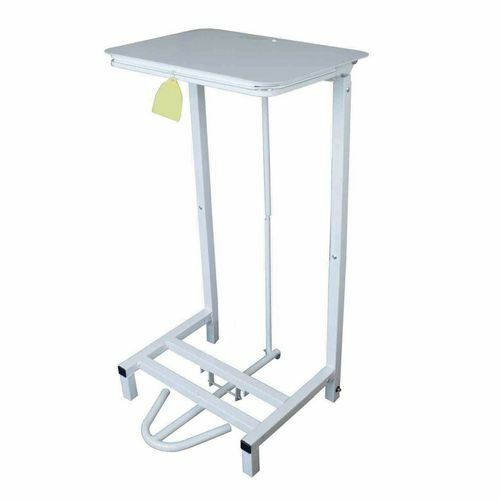 Wide base plate and four legs for stability. H x W x D: 860 x 400 x 370. For the very best in environmental hygiene supplies, take a look at our range of high quality indoor sackholders. Whether its function is within medical, industrial or food service, you can guarantee a sterile solution thanks to its resistant and robust design – making it ideal for heavy usage. 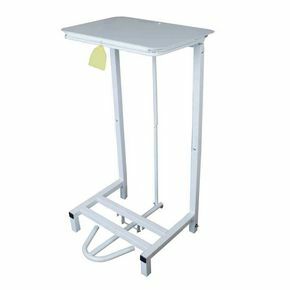 Produced in a white epoxy coated finish, this free standing unit comes with full pedal operation; developed with a wide base plate balanced over four legs for increased stability. Hold refuse bags intact and remove with ease, with a lid to securely cover waste; and enjoy a 12 month guarantee as well as an ergonomic solution courtesy of Slingsby.